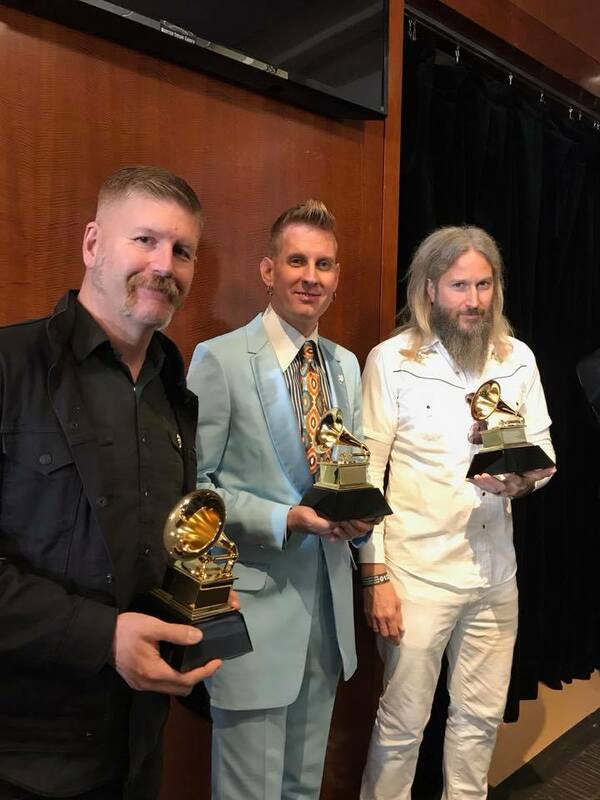 Mastodon were named winners in the Best Metal Performance category for their “Emperor Of Sand” track, “Sultan’s Curse”, at the 60th annual Grammy Awards in New York on January 28. The band took home their first Grammy honor ahead of fellow nominees August Burns Red, Body Count, Code Orange and Meshuggah. The Atlanta Journal-Constitution reports Mastodon drummer Brann Dailor said backstage that the award is "huge for us and for heavy metal. It's one of the greatest genres with some of the most talented and skilled musicians playing it." Recorded with producer Brendan O’Brien at the Quarry in Kennesaw, GA, “Emperor Of Sand” debuted at No. 7 on the Billboard 200 last spring, marking the group’s third US Top 10 following 2014's "Once More 'Round The Sun" (No. 6) and 2011's "The Hunter" (No. 10). Mastodon return to live action in March when they play a series of shows in Australia.